Go4hosting is AWS Standard Partner Now! Go4hosting, a leader in the field of cloud computing and fully-maintained server hosting, proclaimed its elevated status as an AWS Standard Consulting Partner. It is one among a small number of Consulting Partners within the world with the capability to assist organizations in executing and operating the AWS Cloud Service, with a long-standing heritage of managing highly complicated yet completely regulation-compliant infrastructures. The AWS Standard Consulting Partner status foreshadows the Consulting Partners within the ‘Amazon Partner Network (APN)’ as the foremost important investments under AWS Cloud practices, with intensive expertise in deploying client solutions on Amazon Cloud, and also as the most skilled groups of trained and authorized technical consultants for AWS. Partners are evaluated depending on their APN Competencies, experience in project management, and the scale (along with growth) of their revenue-producing consulting business on Amazon Web Service. Go4hosting is honored to be selected as an AWS Standard Consulting Partner. Amazon continues to raise the bar for Consulting Partner qualification, and their choice signifies the strength of Go4hosting as well as the consistent success of our clients. 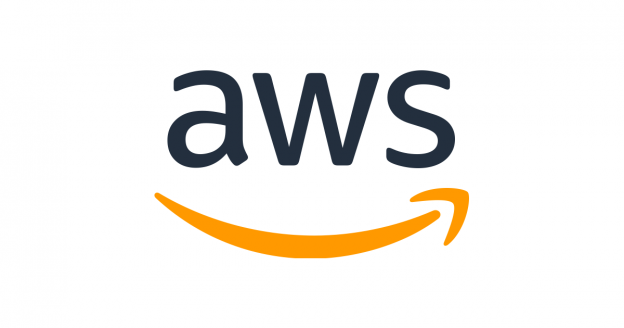 As a Consulting Partner within the Amazon Web Service Partner Network, Go4hosting focuses on the planning, deployment, automation, and management of advanced, bespoke Amazon Web Service infrastructure for the most discerning of system and service purchasers. It mingles acute platform information with decades of collective experience in launching and managing HIPAA and PCI-compliant workloads for diverse sectors including finance, healthcare and e-commerce. Go4hosting supports the process of migration from internal knowledge centers to the AWS Cloud, together with implementation of the best industry practices, audit support, advanced DevOps and infrastructure automation. Our cloud infrastructure is extremely accessible for clients, satisfying their IT needs and quickly scalable to meet and exceed the requirements of our international user base. 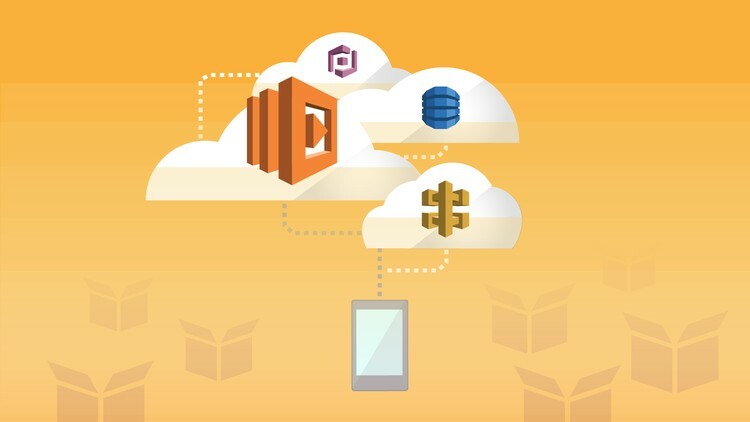 Working with Go4hosting for managing the processes that are being executed on the AWS Cloud will allow our clients to continually develop better features, offer superior client service and specialize further in their core business. Go4hosting combines a long heritage in IT expertise and best practices with the latest power of technology for guiding our clients in their respective journeys towards the cloud. 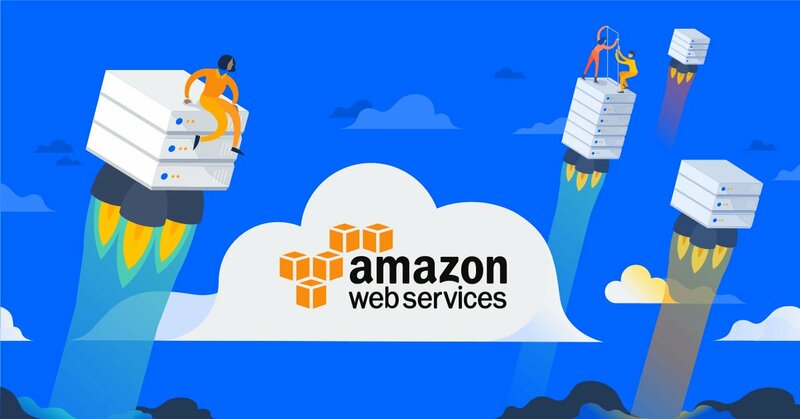 Go4hosting’s understanding of all earlier IT platforms and AWS Cloud Services allows us to assist our clients while they transit to AWS Cloud Services. Whether a corporation is simply starting to explore the cloud or is already all-in, we’ve got the flexibility and experience for endowing our customers with the utmost grace, efficiency, and security of a progressive managed Amazon Web Service ecosystem. This entry was posted in News & Updates and tagged Amazon Web Services, AWS on September 26, 2018 by Nikita Mittal. Are you looking for building a resilient AWS environment? Our dedicated experts offer excellent advice, design a suitable solution, or in fact construct a complete new cloud environment. Any cloud service which is public is basically susceptible for closing down. It is very possible for designing various fail-over systems on Amazon Web Service with cheap but fixed prices as compared to physically-located DR solution on cloud and absolutely null points of failure. Technically, availability of any application is not influenced by any possible failure of a data center. If we discuss about the traditionally related IT environments, engineers, for attaining resiliency possibly will duplicate “mission-critical tiers”. This can price up for hundreds of dollars for managing and in fact it isn’t the suitable and effective solution for achieving resiliency. There are various small activities which successfully contribute towards the entire resiliency of the concerned system, but enlisted are the some important fundamental and strategies principles. You need to decouple the components so that there is almost no or little information of various other components. The maximum loosely-coupled your system is, the more better it is going to scale. The idea of Loose-coupling basically isolates the various components of the system and thus evaluates internally related dependencies such that the process of failure of specific single component of the respective system is basically unknown by the various components. This designs a series of some agnostic black boxes that basically don’t care if they are providing any data from EC2 instance be it A or B, and thus building a far better resilient system in any possibility of the failure of A, B, or various component. •Deployment of Vanilla Templates: At Go4hosting, the standard practice is the utilization of a “vanilla template” and configuration at deploying time via the process of configuration management. This provides customers ‘fine-grain’ control of instances at the deploying time. By evaluating the new instances, you are basically reducing the risk of any kind of failure of the concerned system and thus allowing the particular instance for getting spunned up more rapidly. •Simple Queuing Service or Simple Workflow Service: If you utilize a buffer or queue for relating components, the concerned system can efficiently support the spillover during any kind of load spikes by distribution of requests to various components. If everything is somewhat going to be lost, there will be a new instance which will pick up some queued requests when the application is recovering. •You need to build the applications in a stateless way. Various application developers have introduced a long list of methods for storing session data for customers. 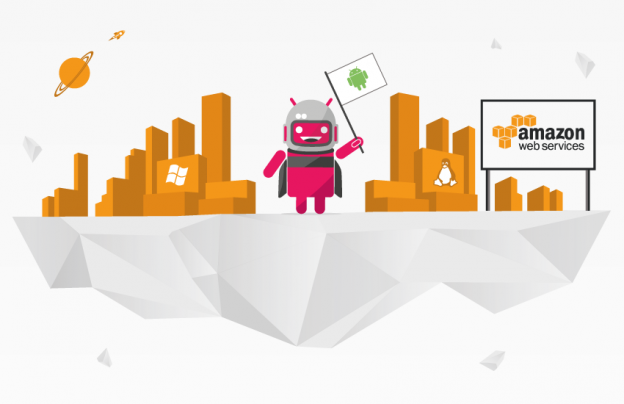 •Lessen the interaction towards the environment by consuming CI tools, such as Jenkins. •Elastic Load Balancers: Distribution of instances across various Availability Zones (AZs) is conducted in Auto Scaling clusters. Elastic Load Balancers (ELBs) helps in distributing traffic among some healthy instances which are based on various health checks. •Store static assets on S3: Best practice at the web storing front is storage of static assets on S3 and instead of bringing EC2 nodes themselves. Electing AWS CloudFront in the front of assets of S3 will let you do deployment of static assets. This basically not only minimizes EC2 nodes that will fail, but also minimizes the price by enabling you for running leaner EC2 types of instances. The concept of Human intervention is ‘a single point of failure’ in itself. For removing this, we design an auto-scaling and self-healing infrastructure which dynamically constructs and then destroys various instances and thus provides them the suitable resources and roles with customized scripts. This frequently needs an important upfront investment of engineering. Although, automating the concerned environment before building cuts the development and maintenance prices afterwards. An environment which is completely optimized for further automation can conclude a difference between the duration of deployment of instances in various regions or creating the development environments. •The infrastructure in action: If there is any case of any failure in the instance, it is successfully eliminated from the Auto Scaling clusters and thus some other instance is spunned up for replacing it. ◾CloudWatch basically triggers the new instance which is spunned up from an AMI in S3, and then copied into a hard drive. ◾The ‘CloudFormation’ template enables customers for automatically setting up a Virtual Private Cloud, or a NAT Gateway, and general security along with building the various tiers of the applications and the interconnection between them. The objective of the template is to do configuration of the tiers and then get it connected into the Puppet master. ◾This least conducted configuration allows the tiers to be properly configured by process of configuration management. If you aware of the fact that things are going to fail, mechanisms can build for ensuring the system is going to persists no matter what will happen. In order for designing a resilient application, various cloud engineers need to anticipate that possibly what can build a bug or stay destroyed and remove such weaknesses. This principle is pretty much crucial that “it should be completely focused on controlling failure injection.” Executing suitable practices and then persistently monitoring and then updating the concerned system is the only major step for building a ‘fail-proof environment’. The concept of Auto scaling, since its evolution, has been a major selling point in the field of ‘cloud computing’. But as compared to most of the popularized technological abilities, a fair cluster of some misconceptions has been collected. There are few kinds of mistakes which slides in the passage of various constructive conversations regarding cloud infrastructure, and then they frequently mislead various IT leaders taking the belief into consideration that it is very quick for its set up, is simple and confirms ‘100% uptime’. 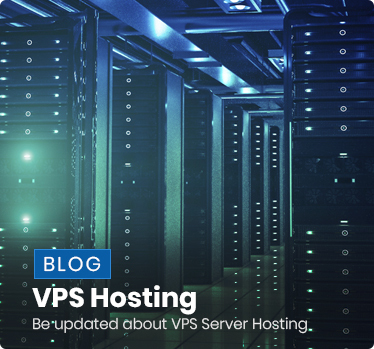 It becomes pretty possible with the platforms of IaaS, generally in a manner which is quite direct as compared for scaling upward in some data-center. But if customer are visiting AWS and spinning up any instance, then you will rapidly discover regarding public cloud, which never “comes with” with the concept of auto scaling. For designing an automatic and a self-healing ecosystem that takes the place of various failed up instances and then usually comes out with almost no or little human intervention which needs a noteworthy ‘time-investment upfront’. The process of setting up of a group of load balancing in between various ‘Availability Zones’ (AZs) is almost some-what very direct; designing instances on its own with a systematic and precise configuration along with least standup times in a need of various customized scripts and various templates that basically process weeks or may be months for getting right, and which generally does not possess the time duration which is taken for the engineers for learning how effectively AWS’ tools can be used. •The process of cloud formation might be utilized for making a template of configuration of the resources and application, which is basically structured as a data stack. This specific template be successfully carried in a concerned repository, thus making it deployable and easily reproducible as instances, where and when it is required. Also, cloud formation enables customers for automating various things like network infrastructure, deploying secure and ‘multi-AZ instances’, in fact can download bundles of various acute tasks which are pretty much time-taking if they are done manual manner. • “Amazon-Machine-Images”: Under the process of auto scaling, like under a very traditional environment, various machine images enables the engineers for spinning up same replicas of already existing machines. An AMI, basically is utilized for designing a ‘virtual machine’ under an EC2 and which offers as the fundamental deployment unit. The concerned degree for which the idea of AMI must be precisely customized as compared to configuring a startup is basically a complicated topic. • “Puppet scripts,” along with various management configuring tools such as Chef, which defines each and everything over the suitable servers from given single location, such that there is an individual truth regarding state of complete architecture. 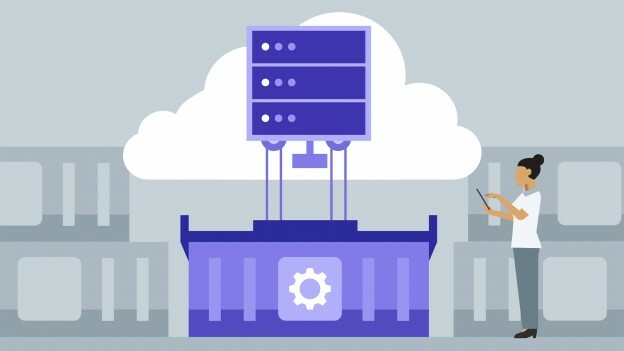 Cloud formation designs the foundational unit and thus installs the configuration of Puppet master, after it, Puppet which is attached towards the various resources, thus node needs to function such as extra block storage, Elastic IPs and network interfaces. A last step is basically the integration of auto scaling and the deployed process, where ‘Puppet scripts’ updates EC2 instances which are newly added on its own towards groups of auto scaling. Managing various templates and various scripts which are added in the process of auto-scaling is basically ‘no mean feat’. It might take time for an expert systems engineer for getting easy working with ‘JSON’ in ‘CloudFormation’. This moment is precisely the time when acute engineering teams generally do not possess, and that is why various teams are not able to touch the exact point of exact auto-scaling, relying not on some concerned combination of manual configuration and ‘elastic load balancing’. Allocating various type of external or internal resources for creating ‘template-driven environments’ can minimize customers’ build out time by various specific orders of concerned magnitude. That is the reason why several IT firms have devoted a complete team of experienced engineers for managing automation scripts, generally referred a ‘DevOps team’. The story of Auto scaling not always applies the concept of ‘load-based scaling’. In fact, this is pretty much argue able that the major helpful aspect of the idea of ‘auto- scaling’ focuses on great range of availability along with the redundancy, and instead of any ‘elastic-scaling’ techniques. Very frequent objective for such a cluster is basically resiliency; various instances are situated into a non-flexible size of auto-scaling cluster so that by chance if any an instance is failing, then it is replaced on its own. The use case is an ‘auto-scaling’ cluster which has a minimum size of ‘1’. In addition to this, there are plenty of ways for scaling a group than simply by assuming at ‘CPU load’. The process of auto scaling may also sum up capacity towards working queues, and thus is very helpful in projects of data analytic. A suitable group of ‘worker-servers’ in a group of auto scaling basically listens towards a queue, then implement those actions, then timely trigger an instance of spot when the concerned size of queue reaches a specific number. Similar to all other instances, this is only going to occur if and only if the price of spot instance falls under a specific dollar amount. By this manner, capacity is included when that is only “good to possess”. There is a general misconception regarding “load-based auto-scaling” is such that this is pretty much suitable in all kinds of environment. And in fact, there are various cloud computing and deployments models which are more resilient and with not any function of process of auto scaling. This becomes especially very true of acute startups that possess actually lesser than ‘50 instances’, and where such desirable ‘closely-matching’ capacity along with the demand which has various unexpected consequences. For example there is a startup which possess a ‘traffic peak’ at ‘5:00PM’. That particular traffic peak needs 12’ ‘EC2 instances’, but can receive with only two “EC2 instances”. It is decided that for saving costs and thus taking usefulness of their particular cloud’s ‘auto-scaling’ ability, they will putting up their various instances under a group of auto scaling with a ‘maximal size of fifteen’ and a ‘minimal size of two’. Although, one fine day they receive a massive height of concerned traffic around about ‘10:00AM’ that is great as ‘5:00PM’ traffic — which basically lasts only for fixed 3 minutes. So, why does that particular website goes down even if they possess ‘auto-scaling’? There exist various quantity of factors. Firstly, their group of auto scaling will only sum up instances in every 5 minutes just by some default, and this may also consume ‘3-5 minutes’ for some new instance for coming in service. To obvious, their additional capacity can be quite late for meeting “10:00AM” spike. In general, it is usually true that the concept of “auto-scaling” is very beneficial for the people that are manually scaling for ‘hundreds of servers’ and not towards tons of various servers. If users are letting their capacity go down under a specific quantity, users are possibly quite susceptible for the downtime. Does not matter how those group of auto scaling is basically setting up, that still consumes somewhat ‘5 minutes’ for any instance for brought up; in just 5 minutes, plenty of traffic can be generated, and in only 10 minutes a website can be saturated. This is the reason why ‘90% of scale down’ is a pretty much. Under the afore-mentioned example, startup must try for scaling the peak 20% of the concerned amount. This is generally quite difficult for finding out the significant balance in between getting baked towards the AMI (for creating “Golden Master”), then what is being done by launching with a management configuring tool (on peak of “Vanilla AMI”). The way customer is configuring an instance is based on how quick the instance requires for spinning up, how commonly events occur, the aggregate life of any instance. The usefulness of utilizing a management configuring tool and then creating off of a ‘Vanilla AMIs’ is obvious: suppose the customer is executing 100+ machines, he/she can update various packages in an individual place and thus bearing a track record of each and every configuring change. 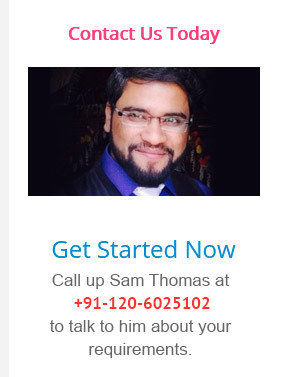 We have discussed the merits of ‘configuration management’ in an extended manner here. Although, in an event of auto scaling, you generally do not wish to bear for waiting up for a Puppet or various script for getting downloaded and then installing 500MB of relevant packages. Moreover, the by default process of installation must execute, the greater the chance will occur that something is going to be wrong. With the phase of time along with testing, this is very much possible for attaining a genuine balance of such two particular approaches. It will be ideal feature for starting up from a specific stock image designed after implementing Puppet on a specific instance. This concerned test of various deployed process, basically is or maybe not, the instances operations automatically when designed from this already existing image as build up from “scratch”. Also, setting up the process is very much complicated along with time-taking project with any experienced engineering team. There is no doubt for the next several decades, various 3rd party tools and techniques will rise for facilitating this quite process, but such tools of cloud management possess cloud adoption. Unless until tools such as ‘Amazon’s OpsWorks’ become more powerful, the influence of any various environment’s ‘auto scaling’ process will be based on the certified skills of process of various ‘cloud-automation engineers’. Go4hosting is a very genuine ‘cloud service’ provider which efficiently provides its clients attain hundred percent availability over Amazon Web Service and private cloud. How are you planning for building a compliant architecture for the public cloud? Also how are you maintaining the compliance depending upon the change in growth of cloud? These are some of the key questions for various companies — and their respective feature for quickly satisfying above mentioned questions that can basically both be a key differentiator towards the end of users and along with reducing various business risk. This is the reason why Go4hosting has introduced a Compliance Assessment for Azure and AWS customers. Various companies which are coming to us have already created an environment for the cloud, and poses a new user is requiring a specific compliance framework, or create a confirmation that they are satisfying various regulatory needs before launching of any product. We provide a confirmation that they satisfy HITRUST, ISO 27001, HIPAA, NIST 800-53, PCI-DSS, FedRAMP , SOC (1 and 2) and GDPR standards. 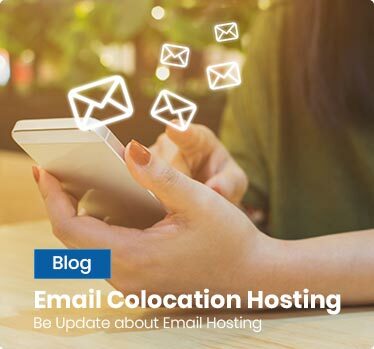 Lately, Go4hosting capitalized on a chance for working with a globally commercial organization that has launched a new application on Managed Amazon Cloud Service. They had various AWS experts on-premises, and had already created the mandatory AWS environment for hosting the application. The problem here is: the concerned IT staff was not very much familiar with HIPAA, and aren’t aware of the specific tools /controls/ steps that are required for achieving HIPAA in AWS. The organization has called up AWS for a attaining a referral for a partner that basically understands the idea of HIPAA on AWS, and then AWS referred this particular company to Go4hosting. Unlike various other partners, Go4hosting not just consult those customers on compliance — but they go via six annual audits each and every year, and our specific AWS practice is technically HITRUST CSF Certified. As a conclusion, compliance and security is created into everything that they do, and all our AWS engineers and experts are properly trained in particular high-governance Amazon Web Service management. Within just some weeks, Go4hosting had successfully performed a ‘non-invasive’ discovery of the organization’s AWS account, on its own, has effectively consulted with the various company’s engineers, and thus created a long list of various remediation items. This includes almost about of 30 items that are often tripping up organization which are ideally new to HIPAA on AWS: like logging, encryption at rest, IDS and more. It is recommended, when it is possible for a particular open source or AWS-native tools and techniques for filling various gaps without adding any cost. By concluding this project, the company is launching the app at suitable time and budget with confidence that it meets HIPAA standards. What’s so good about the Go4hosting Compliance Assessment? If you are trying to comply with any particular compliance framework or any regulation, you will be requiring often for going via own Risk Assessment, that will be helping various identify gaps over the network level, application, administrative etc..
Go4hosting is helping customers for translating a particular control towards cloud native technologies in the most suitable and successful way. It can be customers’ outsourced architecture compliance trainers; the ones which tell customers how you can construct your VPC or VN for satisfying PCI-DSS standards. At the same moment, they can easily consult with the concerned team regarding how improvement will be done for the cloud architecture in overall — across high availability, areas of performance, cost efficiency, scalability and more. 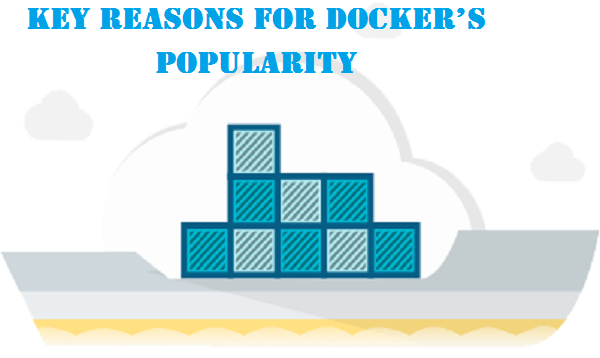 Since Docker works consistently across various platforms, it is gaining in popularity. There is likely to be differences among environments as far as release life cycles and development are concerned and these differences are typically due to different package versions. However, Docker is capable of addressing the differences because it can guarantee consistent environments right from developing to production. The Docker container is specifically configured to control all dependencies and configurations internally. So, one uses the same container right through to production to avoid any kind of manual interventions in the process. When you use the Docker set-up, you developers will not need to install an identical production setting. Developers may use their own systems for running Docker containers. Docker even allows you to make upgrades during product release cycles. Besides making changes to the containers, you can test these and then implement these same changes to current containers. Docker is popular because of this degree of flexibility it offers. So, Docker will let you build, test and even release images which may be deployed over many servers. Another important benefit which Docker offers and which is responsible for making it popular is its portability. In the past, reputed cloud providers like Google Cloud Platform or GCP and Amazon Web Services or AWS have used Docker for this reason. So, Docker containers may be easily run within GCP or Amazon instances as long as the operating system of the host supports this. Besides the GCP and AWS, Docker is also found to work well with other IaaS providers like Open Stack and Microsoft Azure. Docker is able to offer consistency across many development and release life cycles, helping in standardizing your environment. These containers work well also with GIT repositories. So, you may make changes to the images and control these; for instance, if you perform a part upgrade which breaks the environment you can always roll back to the previous Docker image version. So, compared to VM image creation and backup processes, Docker works faster. Docker is popular as it makes sure your resources are segregated and isolated. In fact, according to Gartner reports, the containers are almost as good as VM hypervisors as far as isolating resources goes. Docker will ensure that every container owns its resources which are isolated from that of other containers. You may have different containers for different applications which run separate stacks. Docker also helps in clean app removal because every app has its own distinct container. Finally, Docker also makes sure that every application uses only the resources like space, memory and CPU which have been assigned to it. So, no application can use up all the available resources and cause downtime for others. Docker is also popular for its security features. It ensures that all applications which run on containers are isolated from one another so that you have total control over the traffic. So, no container can actually look into what takes place in another container. Each container is allocated its own resource set. The Docker images which are found on Docker Hub have been signed digitally to guarantee authenticity. Moreover, because resources are limited and containers isolated, if one application does get hacked for some reason, the others are not affected. These are some of the important reasons why so many IT businesses are using Docker. Docker lets developers pack, ship and operate applications in a lightweight and portable container that can run almost anywhere. Containers can offer instant portability and they do so by allowing developers to isolate the codes into one container. Docker introduces many new things which earlier technologies had not. It has made containers safer and easier to deploy. Besides it partners with other container providers like Google, Parallels and Red Hat and has introduced standardization to these containers. So, to sum up, Docker will ensure that you can run more apps on identical hardware; it also makes it easy for the developers to create ready-to-run applications; it streamlines deployment and management of applications. This entry was posted in Docker and tagged Amazon Web Services, AWS, cloud hosting, Cloud Security, Docker on April 9, 2018 by Rahul Singh.